Here's the last of the cards until my camera is back in my hands in just few hours. 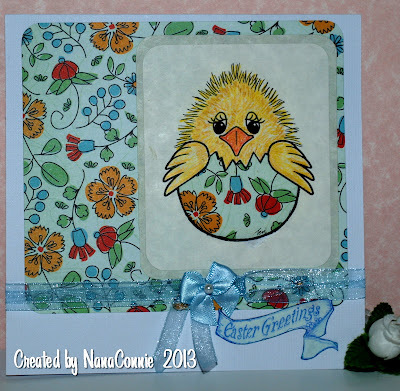 Because of the camera problems, I missed getting my DT card done for the challenge at Delicious Doodles this week (where the theme is "Fairies") but I did paper piece this fun chick popping out of her egg. This is a new image from Teri and you can find it here. 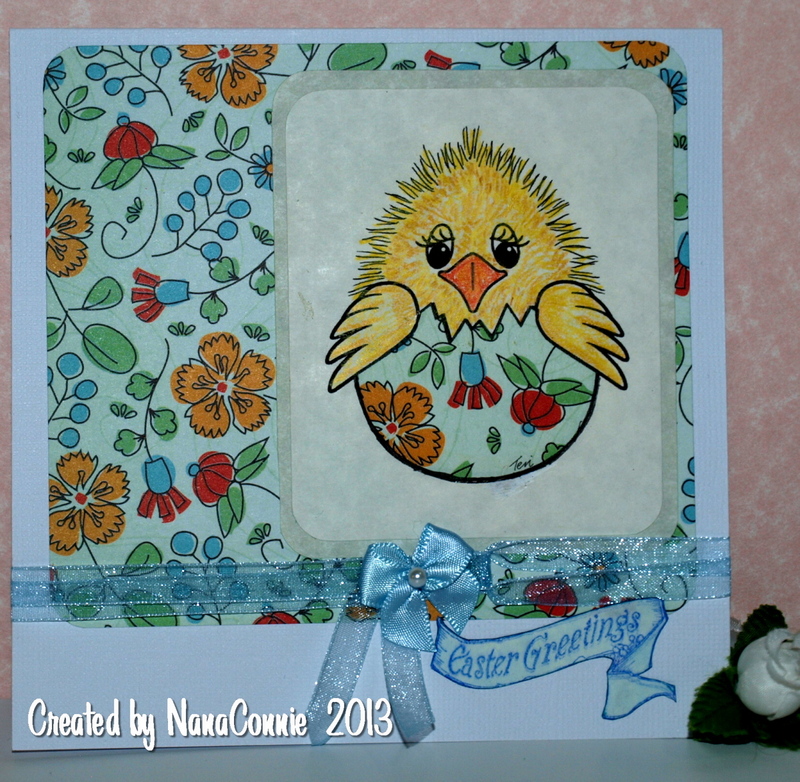 Isn't it an adorable image to use for Easter? 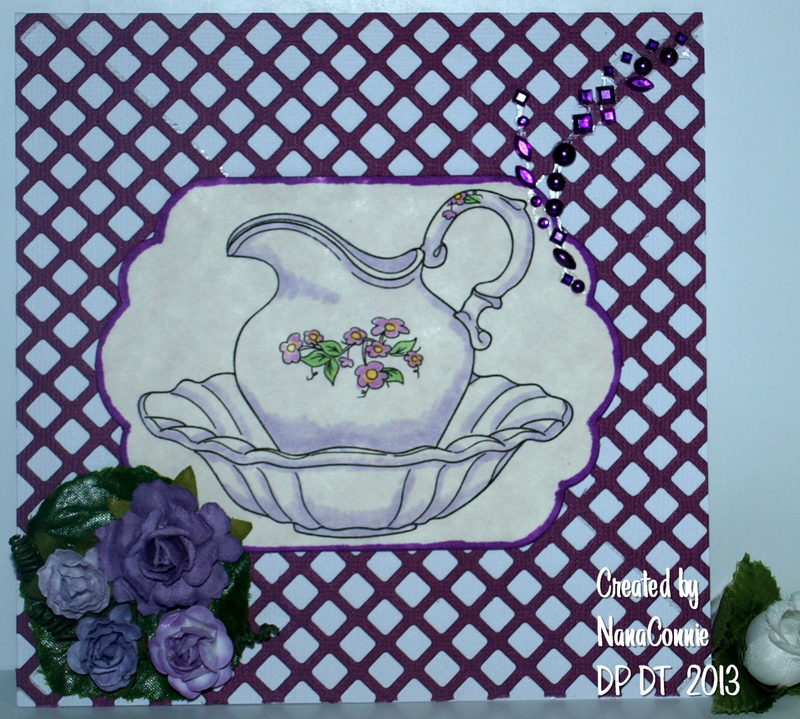 and the paper piecing idea came from Freshly Brewed. The chick is colored with pencil. Both the sheer ribbon and the bow were in my stash. The sentiment is from a rubber stamp which I masked to get just the greeting part. First of the month and time for another fantastic release of digi sets from Doodle Pantry. Oh, there are some marvelous sets this month! Of course, I think that every month, but these just seem especially wonderful this time. :-D My card is made using an image from the "Pitcher and Basin" set (photo of the entire set is at the end of this post), a classic vintage set. I actually remember my Grammy (in whose honor my blog is named) having a bowl and pitcher on the dressing table in her bedroom which she had used since her childhood. I didn't inherit that set but I do have another set which I found in an antique store and bought because it was perfect in my Victorian house. I colored the image to look as much like Grammy's set as possible. Her set was white porcelain with a slight lavender tinge to it, and it did have flowers on the side of the pitcher and inside on the bottom of the basin. I based this on the sketch at Scrapper's Delight this week. Although I didn't use them, the set comes with some wonderful digi papers, too. See the photo below. Oh, yes, one more thing from Laurie this weekend -- AND FOR 3 DAYS ONLY... A 20% OFF coupon!!!!! I hope your week has gone well. 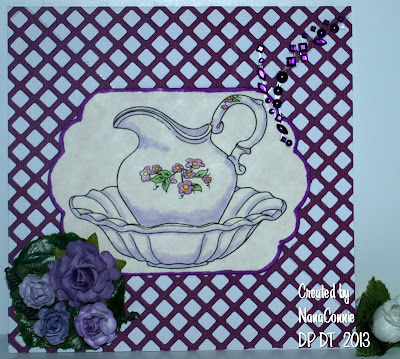 Don't forget that the new Doodle Pantry Challenge will begin at noon EST today, and Laurie always gives away a free set just for playing in the challenge. 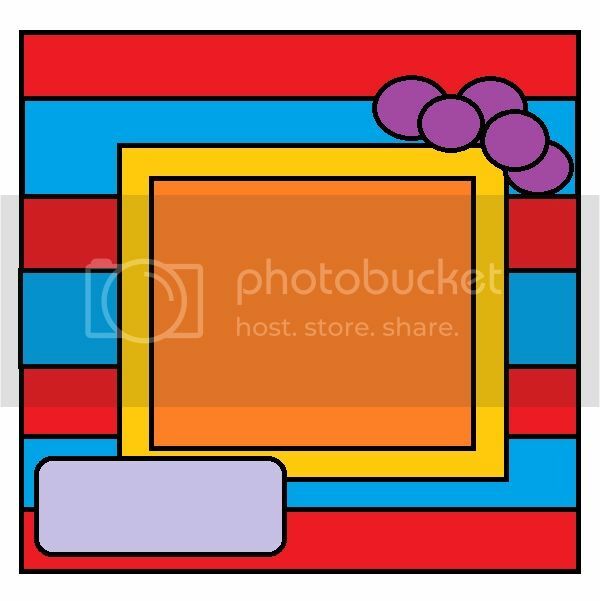 Yes, you must use a Doodle Pantry image to enter, but then you get a free set in return! How can you lose? The photo on the right hand side below shows the Easter Egg Ants set which is free for playing in the challenge this month. The Challenge only runs until the 24th so enter early and don't miss out.